It's beginning to look like fall over here in SoCal, and I'm loving it. 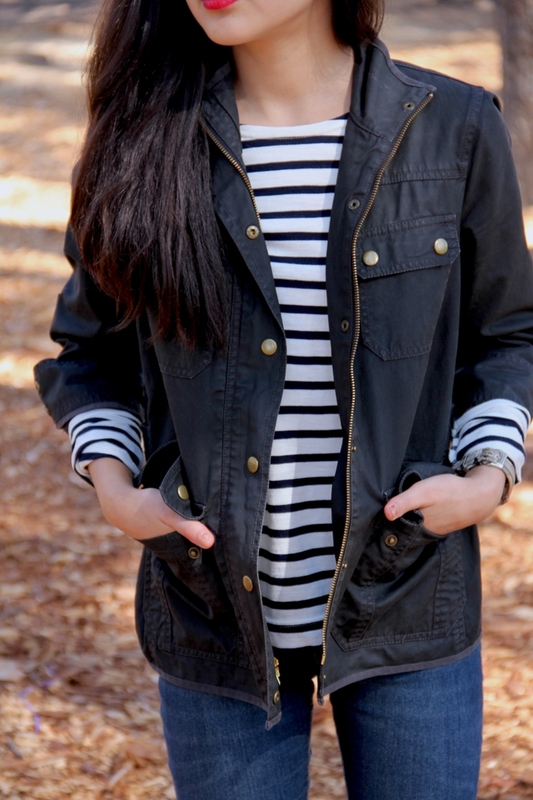 This outfit pretty much encompasses all of my favorite staples for autumn! 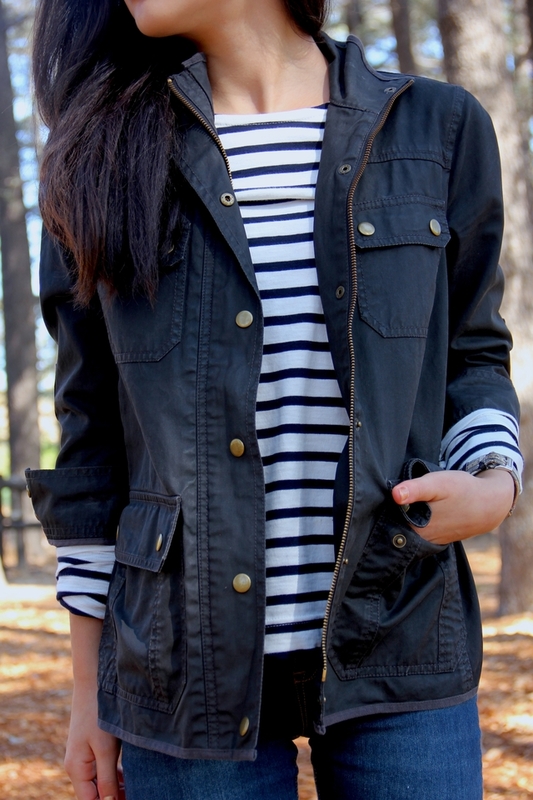 One of them is the Field Jacket by J. Crew- it's one of the pieces J. Crew makes with a cult following. 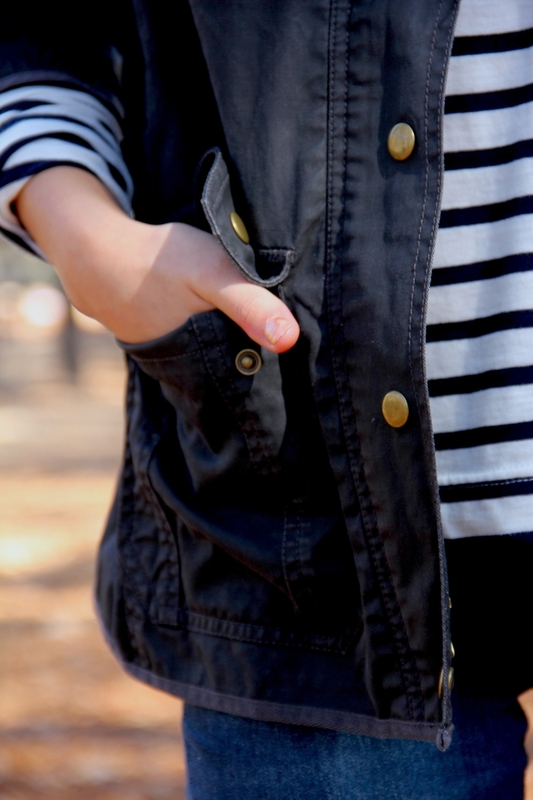 It's a waxed cotton jacket that is super durable and achieves that outdoorsy, adventurous look with a nice structure, and I love when they bring it back every year come august. Of course, another one of my fall staples are a good pair boots. 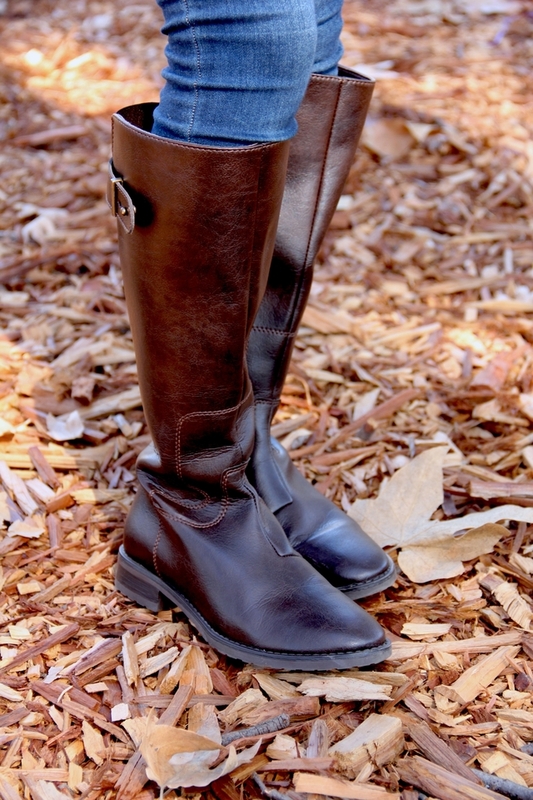 These riding boots by Wills Vegan Shoes have been my go-to footwear lately- they are such beautiful quality and I love the simple yet classic design. They pair so nicely with everything! As for the rest of the outfit, I think it goes without saying that jeans are a must during the cold seasons. I always opt for a skinny dark wash- it's the most versatile and typically the most flattering (at least for me). 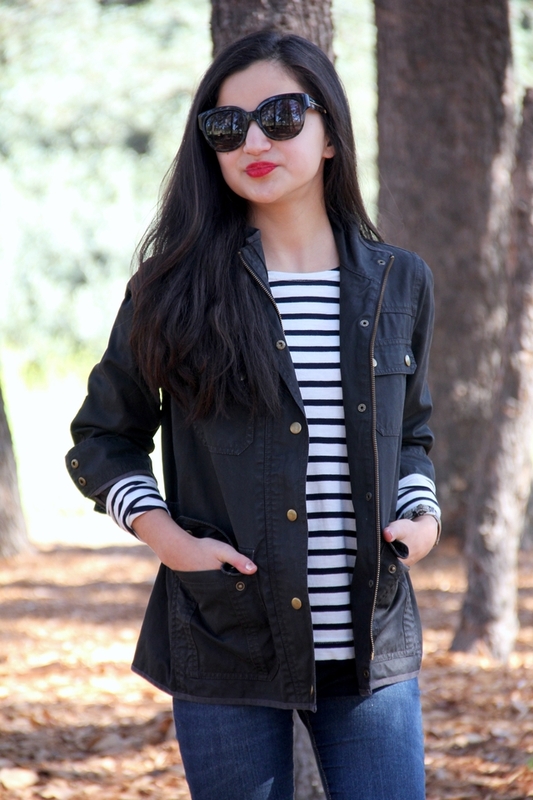 Striped shirts are a really great layering piece for all seasons and I like having a thicker breton style during this season. 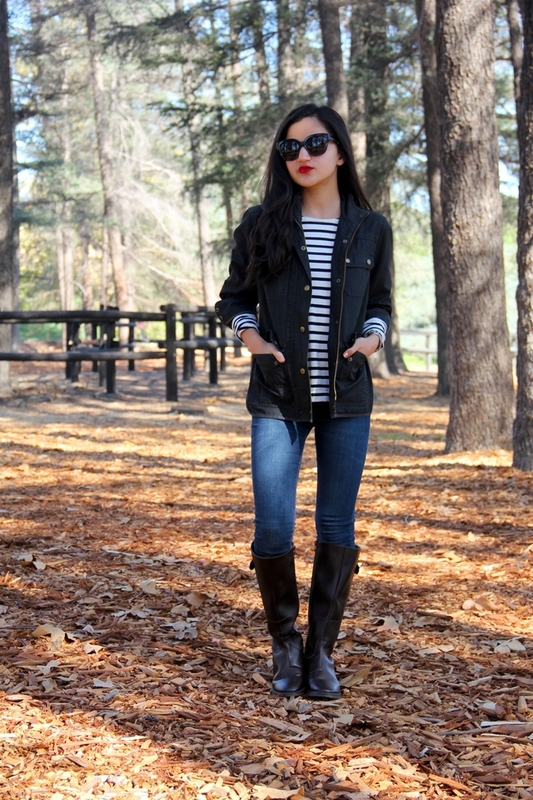 Add on my go-to red lipstick, and that's my favorite fall outfit! I love this outfit!! I would totally wear this. Those boots are so cute. 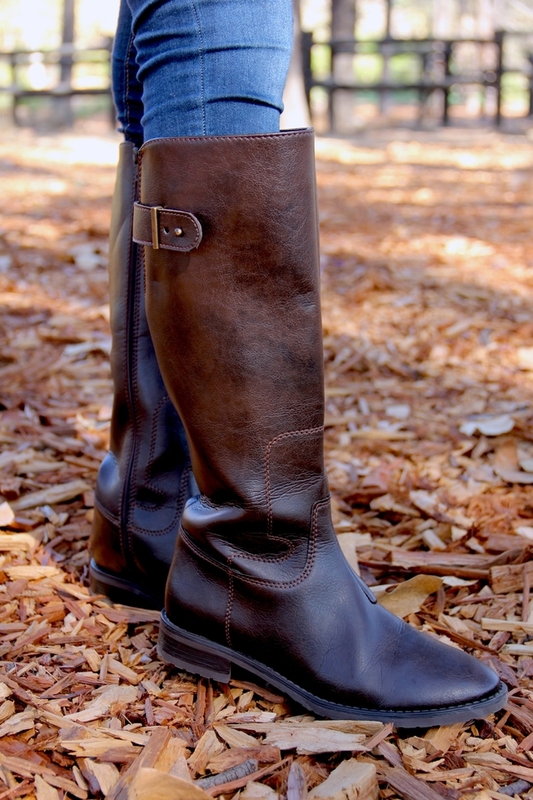 I live in riding boots in the autumn time, I might have to pick those up soon. You look incredible. I love how you styled everything. Thanks for sharing!